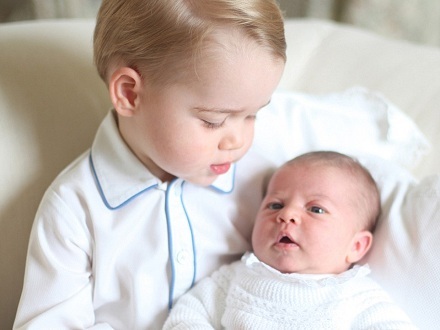 The world has finally been graced with an adorable photo of Her Royal Highness Princess Charlotte Elizabeth Diana of Cambridge, being held by older brother Prince George, more than a month after she was born. However, the Kensington Palace's official Twitter account revealed that the photo had actually been taken by Catherine, Duchess of Cambridge in mid-May. 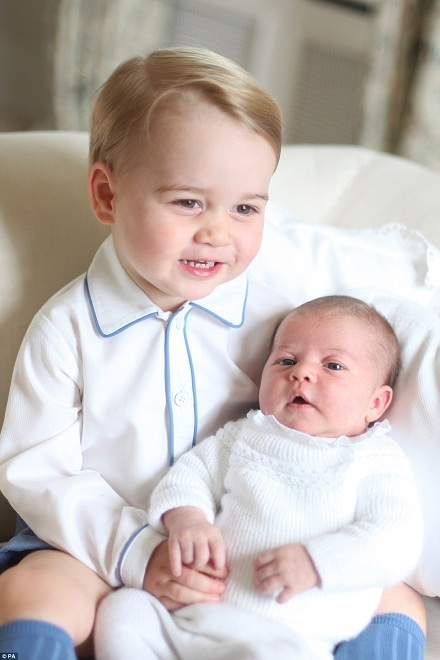 The photo of Prince George and Princess Charlotte was taken by The Duchess of Cambridge in mid-May. 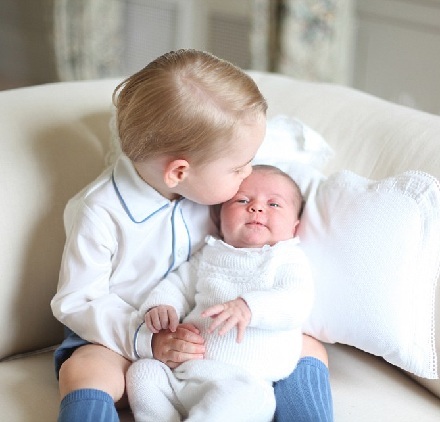 Brotherly love: Prince George tenderly places a kiss on the head of his two-week-old little sister as they cuddle up on the sofa. 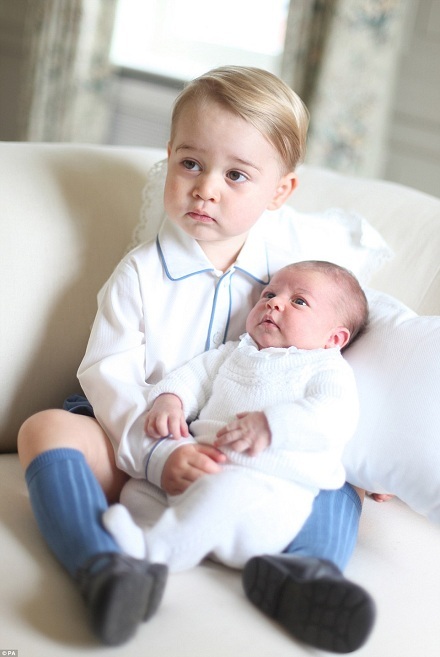 Close bond: Little Prince George looks thrilled to be left in charge of the blue-eyed princess and has tenderly wrapped his arms around her. Friends forever: The siblings look pristine in the images captured by their proud mother, who is a keen amateur photographer.